The Code of Practice is in the process of being revised to reflect the EU law on country of origin labelling for fresh and frozen pork that is in force from 1 April 2015. More information is available here. 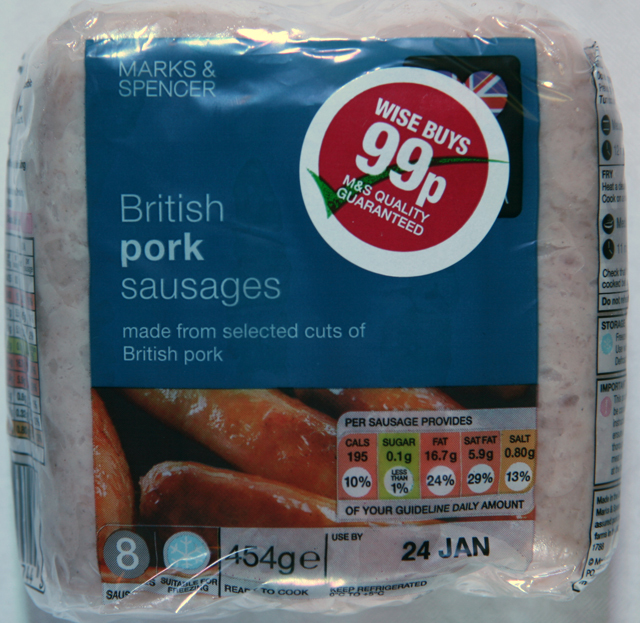 The country of origin of pork and the pork used in processed products will be clearly displayed on the front of the packet. If this is not practical due to label size or extended origin descriptions the country of origin will be clearly displayed on the side or back of the packet. For products not sold pre-packed a country of origin statement will be displayed in close proximity to the product concerned. Single country of origin declarations mean that the pig used to produce the pork or pork product was born, reared and slaughtered in that country. Where a country of origin is stated and the pig is born, reared or slaughtered in more than one country then additional information will be provided on the pack. This will be either a) a statement of each of the countries involved; or b) the country where the pigs were born or reared (farmed) will be stated. The terms “Produced in the UK” and “Packed in the UK” can be ambiguous about origin if not qualified and so will not be used in isolation. The country or countries of origin will be clearly stated. 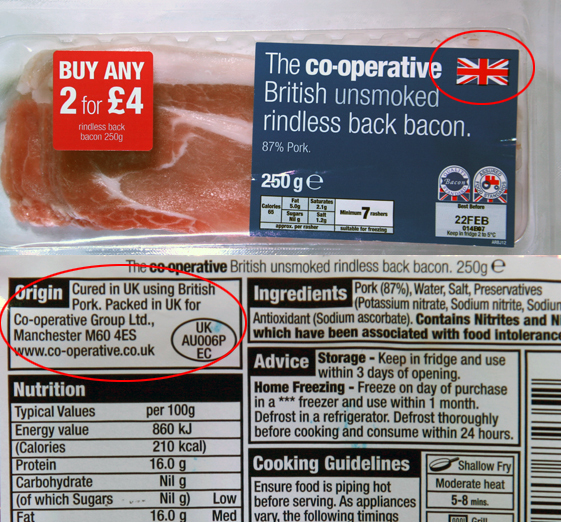 Statements of origin containing a list of possible countries that includes the UK such as “Produced using pork from country a, b, c or UK” has the potential to mislead consumers that the product could be entirely or predominantly of UK origin. Therefore this will not be used. 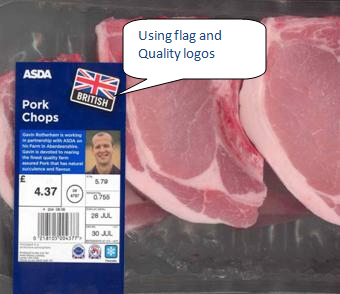 Where national terms and symbols (such as flags or logos containing flags) such as Great British Classics are used as part of the description of processed pork products then this means that the ingredients that characterise the product (such as bacon or the pork in pork pies) and all of the main production/manufacturing processes associated with the product originated within that place or country.